M&P can make custom CPVC Machined Parts to your specifications or drawings. We have a plastic machine shop; CPVC is one of the plastics we can use to make parts. Chlorinated polyvinyl chloride (CPV) has most of the same features and properties of PVC. It is readily workable, including machining, welding, and forming. CPVC has excellent corrosion resistance at elevated temperatures. CPVC may be used to temperatures of 200°F. It can be bent, shaped, and welded. 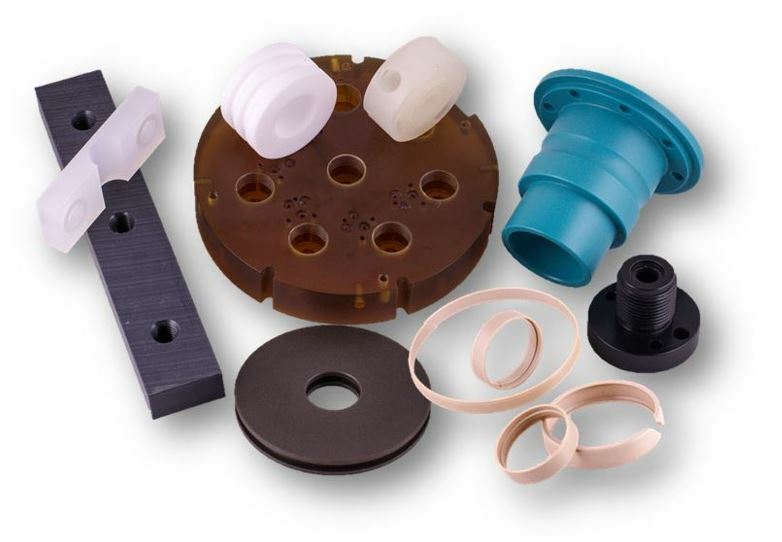 CPVC can be used in a wide variety of process applications. It has excellent fire resistance and chemical resistance. CPVC Machined Parts are made in a completely controlled environment. CPVC O-rings, CPVC Seats, CPVC Bushings, CPVC Bearings, CPVC Guide Blocks, CPVC Wear Pads, CPVC Washers. M&P keeps CPVC in stock so that we are ready for immediate production of your CPVC Machined Parts.